Walkthrough: Route 7 will take you to Wela Volcano Park, and at the peak of said park is your next Island Trial. This Trial is set by Captain Kiawe, having you look at two dances done by Alolan Marowak and spot the difference between the two. If you fail, Marowak will battle you and you will have to try again. If you're correct, you will battle Marowak and proceed to the next dance (throwing a Hiker into the mix as well). 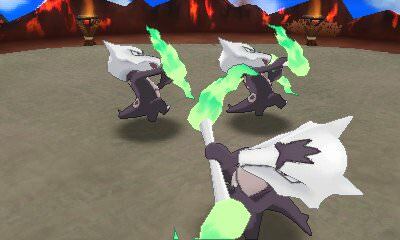 Correctly spot the difference between three straight dances to battle the Totem Pokemon. In Captain Kiawe's Trial, Alolan Marowak will be the Totem Pokemon. It will be at Level 22, having its Speed increased by one stage as the battle begins. The Totem Pokemon will also call upon Salazzle for help during the battle, ones that will all be at Level 20 themselves. Defeat Marowak and all of the Salazzle to complete Kiawe's Trial and earn Firium Z.